What my religious friends mean is that I have no more evidence for atheism than they have for Christianity. Therefore, I must be using faith to make up the difference between “I think so” and “I know so”. In other words, someone who has faith is sure of something without having all the evidence that a more skeptical person would require. He has “assurance about what we do not see.” To the faithful, this is a good thing; an atheist thinks it is unwise. Christians admire faith and have made “doubting Thomas” an epithet. Atheists say Thomas’ demand for evidence was not only reasonable, but prudent. Here in America, these conversations take place in a cultural context where God means the God of the Bible: Jehovah. Christians and atheists cheerfully agree that other gods (the Norse gods, the Greek gods, the Muslim god, etc.) do not exist. The issue is Jehovah. So what about Jehovah? Can atheists prove he does not exist? Some think they can, but I’d like to look at the issue from a different angle in this post. Thinking people, whether atheist or Christian, ponder the same set of questions about God. Why does God allow so many innocent people to suffer? Why don’t I see heavenly power in my own life or the life of my friends? Why didn’t God grant my prayer? And so on. Christians are able to maintain faith in spite of those questions. In the face of suffering, they have faith that it’s all part of God’s plan. In the seeming absence of divine power to overcome besetting sins, they have faith that it’s only their lack of faith that is holding them back.When their prayers are not granted, they have faith that God has something better in mind, or is refining them through trials. Atheists don’t have that faith. Their honest assessment is that the evidence points away from the God of the Bible, so they conclude that he does not exist. In many cases, they would like to have faith, but they just can’t. Atheism is not a faith; it’s a lack of faith. It really is as simple as that. This entry was posted in Freethought, Philosophy, Religion and tagged Freethought. Bookmark the permalink. 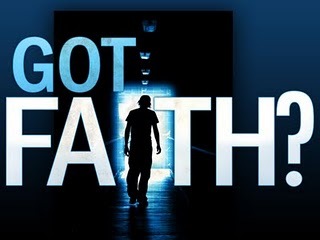 An answer is implied when you state that, “Atheism is not a faith; it’s a lack of faith.“. But that’s not really accurate enough. Agnostics also lack faith. Right? I think most freethinking atheists are actually agnostics. They concede that there’s a vanishingly small possibility that God exists but until evidence of God’s existence is found, there precious little reason to believe he exists. They understand that they can’t prove he doesn’t exist but don’t feel they really need to. I think most atheists are like open-minded scientists. They don’t deny God absolutely but are confident God does not exist. If faith is belief without the benefit of evidence, then an atheist who denies God absolutely has staked out a position of faith. Dictionaries are ambiguous about the definitions of “atheist” and “agnostic” because they merely reflect how we use the words. And we use them ambiguously. One can be “hard” or “soft” about his atheism or agnosticism. There is no clear-cut definitions of these words. I, personally, call myself an atheist . . . but not an absolute (hard) atheist. It’s unlikely, in the extreme, that some Cosmic Creator is responsible for our awesome universe. But the notion of a personal God, like Jehovah, is just plain laughable to me. Even if there were such a God, I would not bend a knee for him. The bottom line is that “a lack of faith” can describe a non-practicing religious adherent or an anti-theist or anything in between. And absolute atheism REQUIRES faith. I agree with you that agnostics also lack faith. So what’s the difference? For the purpose of my post, here in our Judeo-Christian culture, my distinction is that an atheist is sure that Jehovah does not exist and agnostic is unsure. I downplayed the atheists’ certainty because I did not want the post to turn into a catalog of proofs that Jehovah does not exist. You said that “an atheist who denies God absolutely has staked out a position of faith.” If denying God means denying any sort of god, then I agree. For example, if someone claims that the universe was birthed by a god who died at the moment of its birth, and I say that’s impossible, then my position is based on faith. That particular proposition can neither be proven nor disproved. However, if someone claims that there is a human-sized, visible god in the next room who is just waiting grant me three wishes, and I enter that room and find nobody there, then my denial of that god is based on evidence, not faith. Jehovah is somewhere between those extremes. Nobody claims he is visible as a rule, but people do claim that he grants the earnest prayers of righteous people, that his Spirit indwells believers with the result that they have more discernment (e.g., about what to pray for) and live more righteous lives, that he superintends the world for ultimate good, that he caused the Bible to be written without error, and so on. When enough of those things don’t materialize as promised, the atheist feels that for all practical purposes he has proven Jehovah does not exist. I would say such a position is not faith-based, and I imagine you agree. Yes, it sounds like we agree. Actually, one can be BOTH atheist and agnostic. We are all speak of knowledges and beliefs. Agnostic Atheism (Weak Atheism) = I don’t really know if there is a God, but I don’t believe there is (The evidence is not there or the evidence is very weak) MOST Atheist, as I do, believe in this way. So, one can be BOTH agnostic and atheist…agnostic and theist also. Atheism DOES NOT claim that God does not exist. That is a postive claim and needs to be proven. Thank you for those clarifications, Ron. Using your helpful categories, I am a Gnostic Atheist regarding a biblical-literal concept of Jehovah, a Gnostic Atheist regarding all of the tribal gods from Zeus on down, and an Agnostic Atheist with respect to the concept of gods in general. Thanks, Beagle. I also totally agree with your and Jim’s eloquently stated positions. Mr. Beagle’s post prompted me to write my own blog post on the topic. I must say, Ron, that your take on the matter is very succinct. My own post emphasized rational integrity (reason from evidence). The following excerpt kind of sums up my post . . . Yes, just like a trillion and one things in the universe that one claim “exist”. The idea of God is not different, in my eyes. Should I be sure to “deny” this proposal? Why? Because there aren’t millions saying the same thing? Sure. I can “conditionally” deny this theory/proposal/revelation. I am an A-Seven Divine Cats-ist… This proposal COULD BE true and I don’t know, however until evidence/proof is shown, I can’t say I believe it. Why then are the “true agnostics” not sure whether to “deny” God, when they do the same for a trillion and one other unproven/unverified things? Yeah Ron, when you get down to it, agnostics can maintain rational integrity AND deny God conditionally. In other words, they can call themselves atheists without changing anything about their views except to get off the fence and make a stand. — Do you believe in Zeus? — So, you are an atheist with regard to Zeus. You don’t believe in Zeus, and it doesn’t require a leap of faith. Your non-belief in Zeus is exactly the same as my non-belief in your god. In fact, we both agree on the non-existence of thousands of gods… I’m just one step ahead of you.